Since we’ve been having some proper summer weather recently (something that’s never guaranteed in the UK! ), I’ve been enjoying having smoothie bowls for breakfast. Inspired by @wellbeingsarah who posted a recipe on her Instagram I tried this cacao smoothie bowl and it has become a real favourite. If you’d like to try this for yourself, then blend spinach, frozen banana, avocado, raw cacao power and milk (I used almond milk) together to your desired consistency. I’ve also added a greens power to mine or you could add a scoop of protein powder. 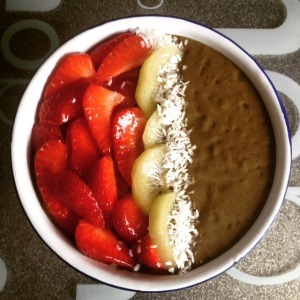 Complete your smoothie bowl with toppings of your choice and enjoy! I’m excited to announce I will be teaching a new yoga class at Create starting this summer every Wednesday from 3rd August. The first part of this beautifully balanced class guides you through a series of flowing yoga postures to develop strength and flexibility. 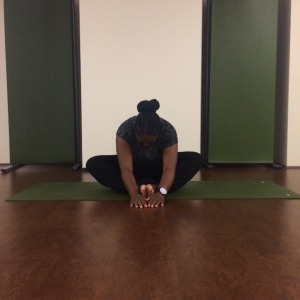 The pace then slows for the second part of the class with a focus on restorative and yin poses allowing your body to release both physical and mental tension. This prepares the physical body for our closing Yoga Nidra practice – a guided meditation known to be a form of deep relaxation, allowing our bodies and minds some much needed rest. (Yoga Nidra, which translates as ‘yogic sleep’ has also been shown to help relieve stress and anxiety). To visit the Create website click here. The Summer Solstice is the longest day of the year and also marks the first day of (astronomical) Summer, the Fire season. The heat and energy of fire can energise, encouraging us to live life to the full, but it can also consume, bringing out our fiery temperament or leaving us drained – so it is important to keep this energy in balance. Consequently, this season can be a good time to reduce the intensity and heat of our yoga practice with slower practices such as yin. By being in the yin yoga poses for 3-5 minutes at a time we open the meridian lines (energy channels) and allow our Qi (energy) to travel more freely through the body. In TCM (Traditional Chinese Medicine) Summer is connected with the Heart and Small Intestine meridians. 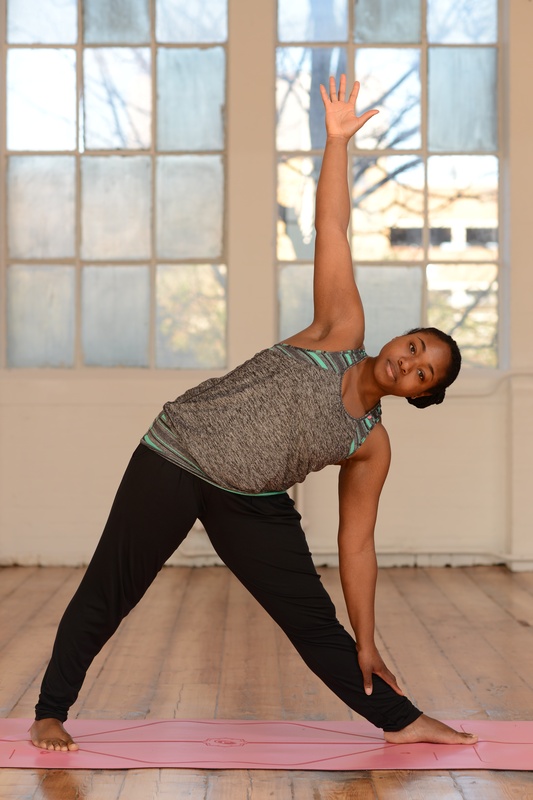 In this workshop we will practice a sequence targeting these meridians (with a particular emphasis on the upper body) to encourage balance in both body and mind. Open to all levels except pregnant students. How happy are you in your skin? 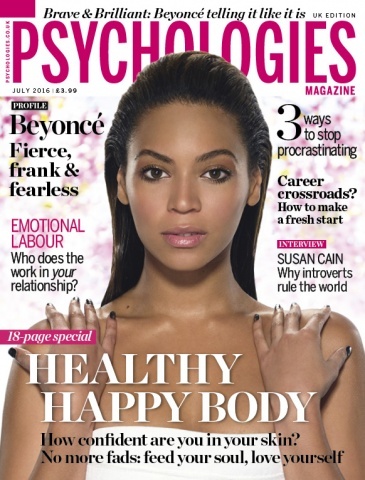 With it’s uplifting, informative and insightful content, Psychologies magazine is and has been one of my favourite publications for many years. 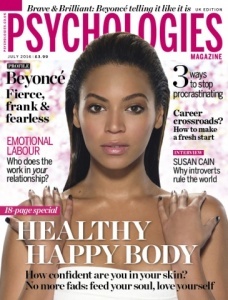 The Dossier theme of the current issue of Psychologies, ‘Healthy Happy Body’ is not only close to my heart, it also ties in with the U Can Yoga ethos. Yoga has played a huge part in helping me find peace with my own body image issues and to find a greater appreciation for the body that I have and all it can do. 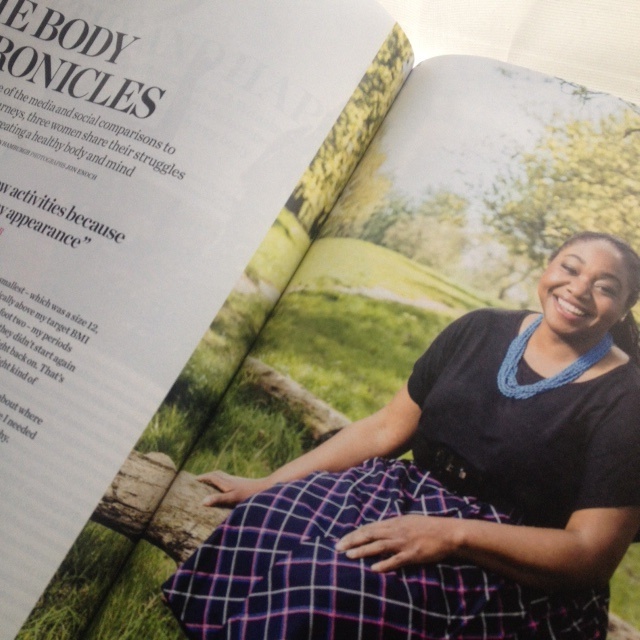 So, I am excited to be featured in the July issue of Psychologies sharing my story. I’m excited to be teaching this Monday night class at reCentre Health in Balham every week from 6th June. This class weaves the asanas (postures) together, orchestrated by the breath to build strength, stamina and flexibility. It will release tension from the body, improve your posture and leave you feeling stronger, more energised and happy. With a good dose of relaxation to top things off, this class will leave you rested, refreshed and ready for the week ahead. Open to all levels except complete beginners. You can find more details at the reCentre website here. Would you like to experience and appreciate some of the many benefits yoga has to offer but feel nervous about joining a drop-in class? 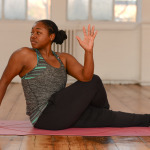 Join me on this 6-week course at evolve which is aimed at complete yoga beginners, but those with some yoga experience who would like to go back to basics are also welcome. There are a maximum of 6 places available on this course to ensure that everyone receives individual guidance and tuition. Over the duration of the course you will be guided through the fundamental yoga postures and practices in a warm, friendly environment. There will be an emphasis on breathing techniques and safe alignment along the way as we explore standing poses, forward and backward-bending, twists, seated and balancing poses and inversions. You will become aware of how your body feels and moves in each pose and learn how and where to modify to suit your body if or where necessary. By the end of the course you should feel confident to attend open level classes or even practice at home, further exploring yoga at your own pace. For full details and to register please click here or call evolve on 020 7581 4090. Join me at Embody Wellness for this special heart-themed February workshop. We will practice a mix of restorative yoga poses to open the heart space in the physical body and yin yoga poses to stimulate the heart and small intestine meridians which govern our capacity to love and be loved. Imbalanced heart and small intestine Qi can result in digestive problems, heartburn, poor circulation, heart problems and low moods. When heart Qi is balanced we can have a greater ability to connect with others, feel more vitality, joy and inner peace. 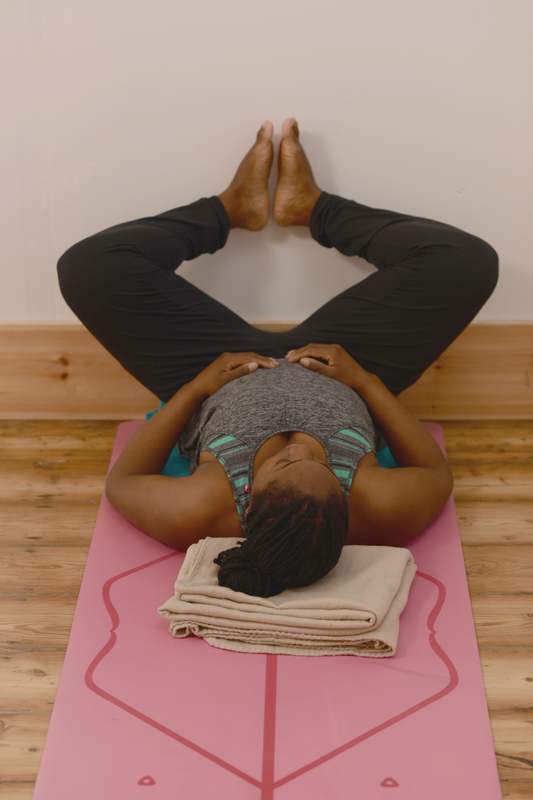 Yin and restorative yoga are both deep, meditative practices which activate the parasympathetic nervous system (calming the body’s fight/flight response). Poses can typically held for 3 to 10 minutes or longer. 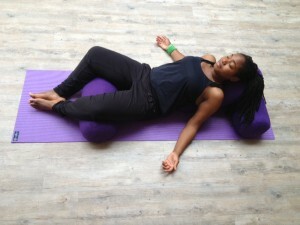 In yin, the focus is on moving deeper into the connective tissues of the body (ligaments, tendons and fascia – the cling-film-like ‘tissue’ which holds our muscles together), while in restorative the emphasis is more on facilitating physiological rest to promote deep relaxation. 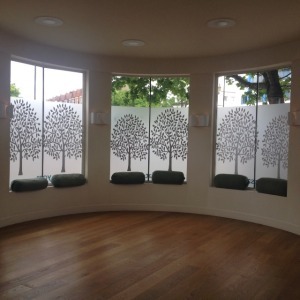 We will close our workshop practice with a calming Yoga Nidra (‘Yogic Sleep’) meditation. I’m looking forward to teaching on three more weekend retreats with Sally Parkes Yoga this year at the stunning Florence House. Our first Relax and Restore weekend retreat of 2016 is 18th-20th March. 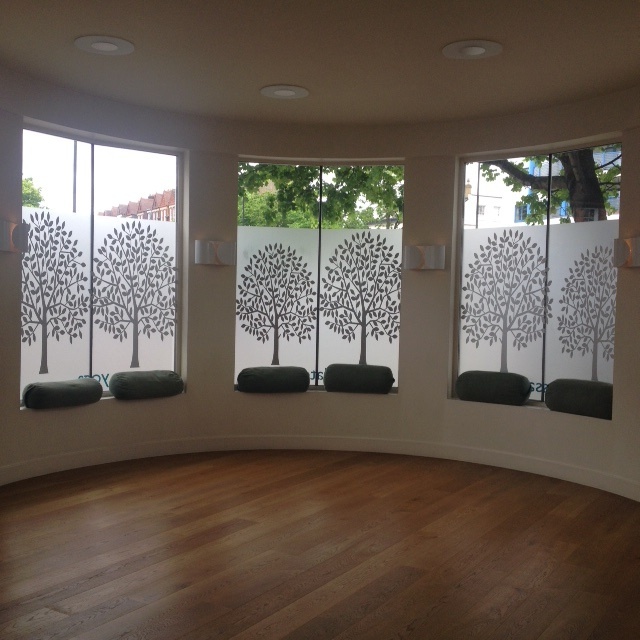 This retreat at Florence House in Seaford in East Sussex is a wonderful blend of Dynamic, Hatha and Restorative Yoga and Pilates. Classes are suitable for all abilities as well as beginners. There will also be a delicious, healthy menu and plenty of time to relax and enjoy the beautiful surroundings and stunning Sussex coastline. For full details of this retreat and to book your place please visit Sally’s website here. You will also find the complete retreat calendar for 2016. Read a review of our Florence House retreats by Miss Wheezy here. Stimulate your gallbladder, liver and kidney meridians with Butterfly Pose. Thank You to Everyone who came along to my New Year Detox Yin Yoga Workshop where we practised yin poses to stimulate the liver and gallbladder meridians. If you weren’t able to be there, here is a pose you can try at home. According to TCM (Traditional Chinese Medicine) the meridians are the channels through which our Qi (energy) flows throughout the body. The gallbladder, liver and kidneys are all important organs in the body’s detoxification process. At this time of year when our minds often turn to detoxing, poses like Butterfly may be of some assistance. In this pose the gallbladder meridian (running along the outer legs) is stimulated. If you bring the feet closer to the groin, then the liver and kidney meridians (running along the insides of the legs and groin) can be stimulated too. As well as opening the hips and activating the thighs without straining the hamstrings, Butterfly provides a lovely stretch of the whole back. –	From here you can stay upright or begin to fold the upper body forward (allowing the back to round). Come forward as far as your body will allow without forcing or straining. –	If you are folding further forward, you may find some support under the forehead would be more comfortable. In this instance, you could use a block or bolster for support, or you may wish to rest your forehead on your hands. Remain here for three to five minutes. To exit the pose, on an inhale gently uncurl back up to sitting. If practising this pose seated is troublesome for your lower back or knees you can try sitting on a cushion or block and placing support under the knees. Another option is to try this pose against a wall (as I’m demonstrating in the picture below). I find this wall version can be very soothing for my lower back. NB – If you are in London, I am teaching ‘Open Your Heart: A Yin & Restorative Yoga Workshop’ on Saturday 27th February 1.45-3.45pm at Embody Wellness. For details and booking please click here. Sarah Powers combines elements of yoga, traditional Chinese medicine and Buddhism in this fantastic and easy to follow introduction and guide to Yin yoga. Including chapters on meridian theory, how to begin a Yin/Yang yoga practice, pranayama and mindfulness meditation, this book makes self-practice simple. You will find Yin sequences with clear photos, dedicated to different meridians (e.g. 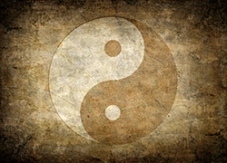 sequences for the liver and gallbladder) and Yang (dynamic flow) sequences for balancing a Yin practice. 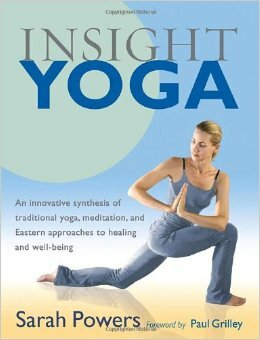 Added to this, Sarah Powers’ chapter on her personal journey, from graduating with a degree in transpersonal psychology and her humbling experience of her first yoga class in the mid-1980s to her now twenty-plus years of practice, puts into context why she is so passionate about yoga and sharing these practices and this comes through beautifully in her writing style throughout the book. As an aside, if you are in London this New Year, I am teaching New Year Detox Yin Yoga Workshop – a practice to stimulate the liver and gallbladder meridians (two organs that play an essential part in the body’s detoxification process) on Sunday 3rd January 2016 1.30-3.30pm at Embody Wellness. For further details and to book please click here.